Thank you for your response to my open letter. While I’m also not particularly interested in turning our dialogue into a debate to be “won” or “lost,” I do take exception to much of what you wrote and feel compelled to respond in kind. I agree with you that our differences are worthy of ongoing dialogue. I can only hope that the airing of our disagreement might somehow be helpful to those who struggle with an issue that is of such critical importance to our respective faith communities. (To) deny…Zionism and Judaism do not share deep historical and religious roots…strikes me as a serious error. You work with a very limited conception of Zionism as a 19th century political movement that breaks from Jewish tradition. I work with a much broader understanding of Zionism and see this movement as driven by yearnings for a Jewish homeland with deep biblical underpinnings. The blending of peoplehood, land and Torah strikes me as integral to Jewish tradition. In writing this statement, you’ve chosen to sidestep my point that for thousands of years, the Jewish connection to the land was expressed as a spiritual yearning – not as a desire to create a sovereign Jewish nation. “Homeland” and “political nation” are two intrinsically different concepts, and as I’ve already written, Jewish tradition consistently regarded the notion of Jewish political nationhood to be an anathema. Political Zionism was never “integral to Jewish tradition” and this concept was not even introduced into Jewish life until the 19th century. By insisting on this point, your analysis of Jewish tradition and history betrays a characteristically Zionist bias that assumes the centrality of sovereign statehood. That is fine – you are certainly welcome to your biases. But you should at least be prepared to own them for what they are and not attempt to present them as normative. The very concept of nation-statehood itself is a fundamentally modern notion. Like all modern forms of nationalism, Zionism arose to consciously create a sense of seamless continuity to the past through recourse to an ancient mythic history. But of course, this is an artificial “continuity;” one that owes more to modern political ideology than Jewish religious tradition. It also has little to do with actual “history” as we know it today. As “Zionism Unsettled” notes, it is extremely problematic to use the Bible as a history book to lay claim to particular piece of land. In the first place, the Bible is a profoundly ahistorical document, as we have long since learned from literary scholars and archaeologists. Moreover, the Bible was certainly never intended to be “history” according to our current understanding of the term. The authors of the Bible did not purport to create a literal history of the events of their day – rather, it is a religiously inspired narrative that reflects ideas and values unique to the world of the ancient Near East. This is more than just an academic point. As “Zionism Unsettled” points out, the use of the Bible as a historical justification for a modern nationalist movement is not merely historically problematic – it has had tragic consequences for the inhabitants of historic Palestine, particularly when you consider Biblical passages that express entitlement to the land, a religious intolerance of the “foreign nations of Canaan” and commandments that require nothing short of their total dispossession – and in some cases, even annihilation. So in one sense we are in complete agreement when you write “even the more secular strains of Zionism that became predominant in the 19th century were suffused with Biblical imagery.” Perhaps we only disagree on the dark outcome of this phenomenon. We should not be unmindful of the ways that the Biblical land traditions were used by early Zionist ideologues and the political founders of the state – and are currently wielded by Israeli politicians, settler leaders and ultra-religious rabbis alike. This use of Biblical imagery must not be dismissed as mere religious rhetoric – these theological linkages have enormous power, particularly when we consider the expulsion of Palestinians from their homes in 1947-48 and policies of displacement and transfer that continue to this very day. Do you want to uncouple Zionism from Judaism altogether, or do you want to critique its more militant and “colonial” manifestations? Can all expressions and forms of Zionism be accurately placed into an ideological lump and legitimately condemned as a movement that leads “inexorably” to the displacement and mistreatment of the Palestinians, as the IPMN guide indicates? Do you think that Jews do not belong or have a legitimate claim to the land of Israel? 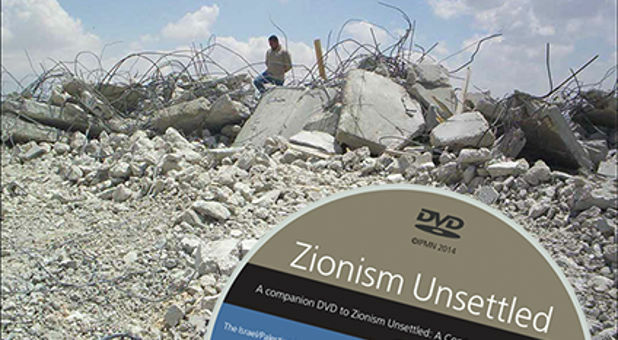 It is true that there are many different forms of Zionism – a fact that is extensively explored in “Zionism Unplugged” (see Chapter 2). I would argue, however, that since the establishment of the state of Israel, the existence of these various “Zionisms” has largely become an academic point. In a very real way, the birth of Israel represents the ultimate victory of the values of political Zionism that were promoted by the founders of the state. As someone who identified as a Zionist for most of his adult life, it is with no small measure of sadness that I acknowledge the ways political Zionism has “inexorably led to the displacement and mistreatment of the Palestinians.” Perhaps most critically, I have come to painfully reckon with the ethnic nationalism at the core of political Zionism’s raison d’etre – and its insistence upon the maintenance of a demographic Jewish majority in the land to safeguard the “Jewish character of the state.” In the end, no matter how vociferously Israel might insist that it is, in fact, “Jewish and democratic,” I do not believe it is ultimately possible to establish a demographically Jewish state without regarding the presence of non-Jews to be a problem. In this regard, I do believe that “Zionism Unsettled” bravely shines a light on the tragic legacy of the Zionist idea, a concept that ultimately resulted in the forced depopulation of Palestinians from their homes in 1947/48 (a phenomenon by now well attested to by Israeli historians) as well as the policies of dispossession that continue to be enacted by the Israeli government even today. These events and policies do not exist in a vacuum – they are the logical end-product of a very specific nationalist ideology that privileges the rights of one particular group over another. You write that you “have yet to see efforts to undo the establishment of the State of Israel produce constructive results.” I’m struck that you equate an insistence upon equal rights for all to be tantamount to Israel’s “undoing.” But when it comes to a choice between a Jewish and democratic state, as increasingly seems likely, what should be our choice? My community is fast approaching a reckoning: which kind of state will ultimately be more “Jewish,” one that unabashedly places Jewish rights above Palestinian rights or one that allows full and equal rights for all? I also find your statement about “Israel’s undoing” to be more than a little incendiary. By projecting nefarious designs onto an entire movement, this kind of rhetoric only exploits the deepest and darkest of Jewish fears. I will tell you that I have been participated in the Palestinian solidarity movement for some years now and have yet to encounter the kind of anti-Semitic anti-Zionists you speak of. Are there anti-Semites in this movement? Undoubtedly. There are odious types on the margins of every political movement. But I can say without hesitation that the Palestinians and pro-Palestinian activists I have met and worked with have nothing but the deepest respect for Jews and Judaism at large and consistently endeavor, as I do, to draw a scrupulous differentiation between Zionism and Judaism. I don’t disagree with you that “the quest for home is deeply woven into the tissue of our humanity” and that this concept is deeply woven into the fabric of Jewish collective consciousness. But I must disagree with you strongly when you insist that “the search for homeland aim(s) at sovereignty.” To me, this is an astonishingly narrow and reductionist reading of the notions of home and homeland. You write that “a national identity is difficult to construct and preserve without the power and freedom that is exercised by the state.” But in fact, that is precisely what the Jewish people have done for centuries. Judaism as we know it was born in the wake of the destruction of the Second Temple, as a profound and spiritually courageous response to the reality of dispersion and exile. As such, Jewish tradition is replete with teachings that respond to this trauma with a message of spiritual hope and renewal. In so doing, the rabbinic Judaism transformed a land-based cultic practice to a global religion, enabling Jewish life to flourish and grow widely throughout the Diaspora. This, I believe represents the intrinsic beauty and genius of the Jewish conception of peoplehood: in a time of profound upheaval and crisis we spiritualized the concept of homeland and redefined ourselves as a globally based, multi-ethnic, multi-cultural nation that viewed the entire world as its “home.” The concept of exile became, in a sense, a spiritual prism through which we viewed the world and our place in it. It might well be claimed that centuries of Jewish religious creativity resulted from this profound existential mindset. As a Jew I do not need you to tell me that this conception of Judaism is somehow “exceptionalist” because it “refuses the rights and conditions that every other nation claims for itself.” With all due respect, it is not for you to take it upon yourself to define my Jewish rights and claims, particularly when it runs counter to centuries of Jewish tradition and experience. I understand that you have chosen to adopt the Zionist narrative of my history and that is certainly your right. But you do not have the right to preach to a Jew that his understanding of “homeland” must ipso facto be expressed through sovereign statehood. Moreover, there are numerous stateless peoples throughout the world. Would you go on to suggest that they too have the intrinsic right to “the opportunities and burdens of an independent state?” If so, where does this right come from and how might it possibly be implemented? If not, then why are you granting this unique right to the Jewish people? Quite frankly, I find your conflation of the concepts of “homeland” and “nation-state” to be hopelessly confused, creating a myriad more problems than it purports to solve. I have yet to encounter a nation or religion that does not fuse religion and politics – and overtly or implicitly make a claim to being exceptional. The challenge is how to identify and respond when the mixture turns toxic. Like the authors of “Zionism Unsettled” I would go much farther than this. I believe that challenge is to identify and respond to those aspects of our respective religious traditions that assume our superiority over others – and to thoroughly disavow them. As the study guide notes, religious exceptionalism has historically been at its most dangerous when it is wedded to state power. In illuminating this point, ZU actually devotes a significant amount of analysis to post-Constantinian Christianity and its legacy of anti-Semitism over the centuries. In so doing, it identifies the ultimate problem as the merging of religion and empire – not Zionism per se. You misrepresent the guide egregiously when you accuse it of treating Zionism as “an exceptional and inherently evil manifestation of nationalism.” In fact, “Zionism Unsettled” repeatedly places political Zionism within the larger context of religious and national exceptionalism – a phenomenon that has historically proven to be, to paraphrase your words, a uniquely toxic mixture. I do believe this is the most critical place where you and I part company. You express your religious faith through your work in the world of interfaith dialogue – an arena that assumes balance and equity on two equal “sides.” I view my faith as refracted through my work as an activist who stands in solidarity with a people that is seeking its liberation. As such I do not view this conflict in any way as a balanced equation. On the contrary, I seek to re-right what I believe to be an inherently unbalanced situation. I realize full well that by saying such things I leave myself open to further accusations of “polemical excess that does not do justice to what needs to be said.” So be it. I would only ask you to consider that rhetoric has a fundamentally different function in the world of dialogue than in the arena of political transformation. I understand that in your world, words are typically wielded in the furtherance of creating “more light than heat.” But when there is very real oppression occurring, as I truly believe is the case here, it is not at all inappropriate to turn up the heat, no matter how upsetting it may be for Israel and its advocates. I do not know if you have ever visited Palestinians in the West Bank or Gaza and have witnessed first hand the deeply oppressive reality of their daily existence. If you haven’t, I encourage you to do so. I encourage you to talk to Palestinians who live in villages whose livelihood has been choked off by a wall that separates them from their agricultural lands in order to make way for the growth of Jewish settlements. I encourage you to meet with Palestinians whose weekly nonviolent demonstrations against the wall are met regularly with brutal force by the Israeli military. Speak to Palestinians mothers and fathers whose children have been abducted in the middle of the night by the IDF and subjected to interrogation in Israeli prisons. Get to know Palestinians who have had their residency rights revoked and/or their homes demolished so that Jewish demographic facts can be created on the ground. Talk with Palestinians in Gaza who are being collectively punished by a crushing blockade and subjected to life inside what has essentially become one of the largest open air prisons in the world. I believe if you take the time to do so you will invariably come to find that these men and women represent spiritual teachers just as compelling as the American Jews and Christians which whom you regularly engage in dialogue. At the very least, I hope they might somehow challenge your views on “what needs to be said” about this conflict. While you may well consider the above to be just another example of my “polemical excess,” I would only say that my convictions come from a faithful place – and from a religious tradition that exhorts me to stand with the oppressed and call out the oppressor. I also believe these same religious convictions inform the very heart of “Zionism Unplugged” and whatever its specific flaws, I find it to be an enormously important and courageous resource. You claim that the “vast majority of Presbyterians will not align themselves with a project that aims to disassemble the State of Israel.” Of course the guide does nothing of the kind. It does, however, call for the dissembling of an inequitable system that privileges one group over another and replacing it with one that guarantees full rights for all. For this it makes no apology, nor should it. You certainly know the Presbyterian community better than I, but I will say that I have met and spoken with many Presbyterians – and members of other Protestant denominations – who have expressed gratitude for this new guide and are eager to use it in their churches. As with my own faith community, I do sense that we are currently in the midst of a paradigm shift on the issue of Zionism and I am not anywhere near as certain as you that the “vast majority” of Christians or Jews are so ready as you to denounce such ideas as abject anti-Semitism. Again, thank you for taking the time to respond to my open letter. I agree with you that there is much more to be discussed. Whether or not we engage in further exploration together, I hope and trust that our conversation might still be helpful to those who have read our exchange. This entry was posted in Anti-Semitism, Christianity, Interfaith, Israel, Judaism, Palestine, Religion, Zionism on February 26, 2014 by Rabbi Brant Rosen. Brilliant summation of a faithful Jewish position. Thank you Brant! Please accept my solidarity from the UK and best wishes for the Zionism Unsettled project. Robert Cohen, Micah’s Paradigm Shift blog. brant, as always, wise, potent, courageous, exemplary, inspiring. not exactly pithy but you do cover valuable ground. as a christian i can imagine some of my compatriots, even in the quaker community which is my core, expressing views like those of rev leighton. your blog helps me understand those views and formulate my own. stay strong, rabbi! Thank you Rabbi Brant Rosen and Rev. Chris Leighton for tackling the issue thoughtfully, openly and directly. Very inspiring. Such a bold and moving conversation, projecting light on grossly unbalanced conditions in Israel/ Palestine. As disproportionate and unbalanced the conditions are, the tide is turning and the catalyst is forming; and yes the heat must be turned on to transform- correct wrong and make right, and provide Equal Justice and Equal Right for ALL. Thank you, Rabbi Brant, for another excellent post: one that so clearly comes from a deep commitment to and convictions from your faith. I am an ordained clergy in the Presbyterian Church-USA, graduated from a United Methodist seminary, and I am currently serving three congregations in the Evangelical Lutheran Church of America and one American Baptist congregation. I know numerous clergy and congregants in all of these denominations who share a deep love for both our Palestinian and Jewish brothers and sisters and who are or would be grateful for this kind of study guide – (yet, who may only wish it would have come sooner, as many of these individuals have only recently learned about the plight of the Palestinians and/or that Zionism and Judaism are not inseparable.) And I, like you, would argue against Rev. Leighton’s claim that the “vast majority” of these individuals would see this guide and its ideas as anti-Semitic. Thank you, again, for being such a committed prophetic voice in this conversation. Thank you, Rabbi Brant. This is surely one of the most powerful essays you have ever written, and you have written a lot of good things. Your teaching sheds light on so many levels — biblical, historical, theological, prophetic and political. This is a manifesto for us all. May it strengthen the hands of all of us within both the Christian and Jewish communities who are working for justice and dignity for all people — Palestinians and Israelis. I wish to strongly disagree with your response. As someone who was raised in the Zionist movement I remember a few things about our very recent history that seem to have been completely misremembered. First, Zionism was a movement that was a very conscious revolutionary break from traditional Judaism and was, for the most part secular. It was primarily a movement about radically transforming Jews and the Jewish community. Secondly, the ideological differences within the Zionist movement have, I would strenuously argue, become even more important since the Occupation. I remember being taught to be proud of Zionism because among tha nationalist movements in the early 19th century it was the one that was most clear about forcing its fascists and extreme right-wingers out of the movement’s official organizationqal structure. Because of the odiousness of their ideology, the Revisionists — led by Jabotinsky, Begin and Shamir — were forced to leave the Zionist Organization. But today, that ideology has come to define contemporary Zionism. The State of Israel today is being led by right wing extremist and ideologues who were anathema to the Zionist movement and by religious parties that were originally created to fight against the Zionist movement. Not only was the Zionist movement a conscious break from tyraditional Judaism, but contemporary Zionism is a conscious political break from historical Zionism. I don’t disagree with you that Zionism was a conscious, radical break with traditional Judaism. I stressed this point repeatedly in my first response to Rev. Leighton. I’m not as agreement with you regarding the difference between what you call “historical” and “contemporary” Zionism. While the Labor Zionist founders of Israel and the Revisionist Zionist movement certainly differed on specific points of ideology, I believe both can be firmly placed in the camp of political Zionism in general – that is to say the larger movement that advocated for the establishment of an ethnically Jewish nation-state. In this regard, the political Zionists differed fundamentally from the cultural Zionism of Ahad Ha’am or the bi-nationalist Zionists such as Judah Magnes, Hannah Arendt and Martin Buber, who actively opposed an exclusively Jewish sovereign state but still considered themselves to be part of the greater Zionist movement. Rabbi…you must be one really great congregational rabbi…in order for your flock to keep you on,in view of your very active support of Israel’s detractors. It might be worth stepping back and examining the character of our exchange. While we have managed at a few points to articulate points of disagreement, my sense is that more often than not we have spoken past one another. I think that there has been a failure to frame questions and concerns that might help us and your blog readers learn very much—and the disputational character of our interplay is symptomatic of most “debates” about the Palestinian-Israeli conflict. It seems to me that a lot of folks have made up their minds about where the blame lies, and it is extremely difficult to get outside the foregone conclusions. I certainly discovered very quickly that I was not going to change your mind, and I must admit that you have not put forth any compelling thoughts that lead me to view “Zionism Unsettled” more positively. This sense of futility took hold at two key points in your latest response. You asked me if I had ever visited the West Bank and/or the Gaza. You wanted to know if I had looked the suffering of Palestinians in the face and confronted the horror. And your assumption was that if I had your experience and sensitivity, your moral perspicacity and powers of empathy, then I would reach the same conclusions as you. That anyone could engage the same dreadful facts and then reach different conclusions about the source of the problem and the appropriate response—well this was simply beyond your imagining. In addition to being needlessly patronizing, it may give your readers the false impression that I have sheltered myself (or been manipulated by others) and thereby avoided the disruptive encounter with the injustices suffered by Palestinians. Our organization makes certain that groups that we lead are exposed to the harsh realities on the ground and that we engage both Palestinians and Israelis including Jews, Christians and Muslims who have divergent, often conflicting experiences. Is there more to see? Absolutely. Have we failed to grasp the enormity of the anguish experienced by Palestinians and Israelis? Of course. Yet the romanticized and one-dimensional narratives that insist that you cannot be pro-Palestinian without being anti-Israeli have long been shattered. The second moment in your response that disclosed the barrenness of our exchange came into focus when you accused me of “preaching to a Jew” what his understanding of a homeland should be. What I presented as a description of the prevailing Jewish ethos, you regarded as a prescriptive and unwarranted demand. Who was this chutzpahdic Christian to tell you what it means to be a good Jew? I am well aware that there are Jews who reject claims to “chosenness” and who regard “Zionism” as a betrayal of Jewish ethics. You are not alone. That said, it is still an accurate assessment to note that yours is a minority position, even it is much more compatible with Protestants sensibilities. At the end of the day, I still do not know if you believe that a two-state solution is viable. I do not know if you regard the State of Israel (as established by the UN in 1947) as a failed project given its deep grounding in a Zionist vision. My impression is that you dream of a bi-national state. This wish strikes me as a romantic vision (also with roots in the nineteenth century) that is unattainable in the foreseeable future—and the revolutionary zeal that clings to such a political transformation promises an entirely new level of bloodshed. I certainly find little grounds for confidence that religious and ethnic pluralism is currently gaining a secure democratic footing in the region. And so I struggle to hold out for a two-state compromise that might over time evolve into a more creative and healthy political arrangement. It is a fragile possibility, but despair is condition that I believe both of our traditions insist we can ill afford. Actually, I have no illusions that I will change your mind about “Zionism Unsettled” or about the Palestinian-Israeli conflict in general. I do however, take exception to much of what you have written about these issues and I am interested in making sure they do not go unchallenged. More than anyone else, it is up to our readers to determine which of us makes a more compelling argument. Beyond this, I am grateful for the opportunity for an open exchange of ideas. To your first point, I did not in any way claim – or mean to imply – that if you engaged with Palestinians in the West Bank and Gaza, that you must automatically reach the same conclusions as me. I simply asked if you had visited and gotten to know Palestinians in very specific contexts and suggested that such an experience would be instructive to you. I do believe these kinds of interactions, challenging as they are, are critical to our understanding of this conflict. Since you sidestepped my questions on this score, I have no way of knowing whether you have, in fact visited or met with Palestinians whose homes have been demolished to make room for Jewish settlements or whose children have been abducted and imprisoned by the IDF, etc. If you have, I’d be interested in knowing what conclusions you have drawn from these experiences. I do personally support some kind of one state solution to the conflict – not out of some dew-eyed “romantic vision” but rather from a realistic reckoning of the current political realities. Quite simply, I believe Israel’s settlement policies have closed the door on a viable two state solution – and that the current attempt to broker a peace deal is only a final attempt at legitimizing the inequity that currently exists on the ground. If that does happen, I think it is naive in the extreme to assume that such a settlement might somehow, some way “evolve into a more creative and healthy political arrangement.” I think it is much more likely that this scenario would result in entrenchment – and thus in continued conflict and tragedy for both peoples. The most viable answer, I believe is to explore “creative and healthy” alternatives right now – ones that ensure equal rights for all who live on the land. I agree with you that despair is something neither of our traditions can afford. Whatever the final political parameters of this conflict, I continue to hold out hope that it will be one that extends full rights for all – Jews and Palestinians alike. I’ve come to realize that there are two kinds of Jews when it comes to Israel. There’s the Jew who realizes that, however you characterize the ideology that led to the founding of the state of israel, the Jewish state is a remarkable phenomenon. This Jew, if he or she is intelligent, realizes that when a Jew enters history, something which Jews had been deprived of, they engage in the use of power. When you use power, you fall from the ideal realm and muck around in the real world. Therefore policies, infrastructure, wars, immigration, emigration, culture, music, food, art, theater, police, scientific research, in short the politics of running a state, become fraught with muck of life in the physical realm. Then there’s the other type of Jew, of which Rabbi Rosen is only one in a decent line, including, inter alia, Daniel Boyarin, Noam Chomsky, John Judis, and Judith Butler, who revel in the critique of a nation by exacerbating the ills of that nation, because they believe that somehow the very existence of that nation is an aberration of Judaism. They would have Jews remain without a nation and thereby live the airy, universalist life of being a man in general rather than a Jew in particular. This was the perspective of the old Classical Reform model, denying Jewish particularism and merging into the great all of humanity. When you take power you live in the political world. If one is to critique that nation, one has to begin with the assumption of the problems of power and politics. BTW, no degree of decrying that Zionism stands outside of Judaism can mask the irony of that claim being made by a Reconstructionist rabbi, whose movement, as part of the world of Liberal Judaism, itself represents a revolution against Judaism. That’s a fascinating dichotomy. I can’t help but notice that your primary reference point for your “two kinds of Jews” is political nationalism and not Judaism per se. Likewise, your second model fails to acknowledge that for centuries of Jewish tradition, the Jewish collective identity was rooted in a sense of nationhood that transcended political sovereignty in the land. It is not, as your say, that I believe “the very existence of that nation is an aberration of Judaism.” Simply put, the Jewish people have long found a way to remain a nation without nation-statism. I think most Reconstructionists would strongly disagree with your claim that Reconstructionism represents a “revolution against Judaism.” Reconstructionism – like Zionism itself – is very much a part of a wide spectrum of Jewish movements that responded to the challenges of modernity. Every one of these movements sought to reframe Judaism in the radically new context of a rapidly changing modern world. As such, they did not to revolt “against Judaism,” but in fact create a compelling and relevant Judaism for a new age. Hi Rabbi: One interesting aspect of the “Abrahamic” religions is that that they all postulate the existence of a Supreme Being and that our highest allegiance is not to the king, the state, or any temporal power but to God, which of course means to truth, justice, and mercy. Despite this, these religions historically have had no problem with getting along quite well with temporal power. Of course we have to live in the real world and that entails making compromises. The question is where to draw the line. So I don’t have too much problem with the comment above from Leonard Berkowitz reminding us about the “muck of life in the physical realm”. What deeply troubles me though are his further remarks, and those of some of your other critics, that try to de-legitimize your point of view by arguing that you are outside the realm of legitimate Jewish discourse. From my perspective the purpose of our religious tradition is to enable us to rise above the “muck of life in the physical realm”. And since, as a Rabbi, your job is to remind us of our religious traditions and make them meaningful to us in the modern world I say keep going. As a Jew, who does have a dog in this fight, I believe it comes from the Jewish concept of tikkun olam, to repair the world, with an additional strong dose of a misguided belief in a notion of an “original sin” in regards to the conflict between Jews and Arabs in Palestine/Israel and the middle east. Those Jews who believe that the Jews or Israel is guilty of an original sin seem to be unable to forgive their own people. But there is no original sin. That’s way too simplistic a view of history. Jews have been living in Palestine and the middle east for over 3000 years. The creation of an independent Jewish State in the middle east should not be controversial. It’s all quite ridiculous. Imagine an arab from Lebanon goes to the west bank in the 1920’s and buys land from the Ottomans. Today he calls himself a Palestinian. A Jew, at the same time, also goes and buys land from the Ottomans, he is kicked out in 1948, and when he returns to live on his land, he is called a settler. Unfortunately, today, the so called peace movement has become an anti-zionist-let’s-get-rid-of-Israel movement. It seems that “peace” is no longer on the agenda. Rabbi Rosen, I very much liked your comment that your convictions “come from a faithful place – and from a religious tradition that exhorts me to stand with the oppressed and call out the oppressor.” I am a non-religious humanist with a Jewish spouse and child (who are also humanists), and when we celebrate Passover, I feel a very strong resonance with that same “faithful place” even though I do not identify as a person of faith. But I am not courageous in my faith, in that I will not see it through if it means risking everything I have. What if an ally of the oppressed persons with whom I would stand hates me, and when liberation time comes, I end up oppressed? What if, in a single state, the Muslim population grows to a majority (demographically likely given birth rates, right? ), and a strand of intolerant Islam comes to the fore, and the Jews living on the land are faced with the possibility of expulsion? Is that an acceptable risk? Sorry for asking an obvious question; I’m sure you’ve considered it from many angles, but I ask only because I think you’ll give a nuanced and interesting reply. I’m not convinced that Islam is a system that plays very well with other systems (religious or otherwise). Or to put it better, I’m not convinced that the peaceful and tolerant strands of Islam can hold out against the theocratic, intolerant strands. I look at Muslim immigrants to Western democracies and perceive them tending to try to impose Islamic values on others, much as fundamentalist Christians in the US think that religious freedom means that they should be able to impose their values on others, but with the difference being that this aggressive strand of Islam is spreading around the world. Maybe I’ve bought into post-9/11 American Islamophobia, but I’ve never been very optimistic about Islam’s ability to play well with other systems, and I’m no knee-jerk xenophobe. I am very imperfectly informed, though. My guess is that when you’ve met with dispossessed Palestinians, you must have seen a desire for peace that you believe will transcend theocratic impulses — is that the case? Do you think my perception of Islam as unusually aggressive and theocratic, relative to other religions (even just the Abrahamic ones) is unfair? What causes you to expect that a single state wouldn’t end badly for Jews, as I assume you do? P.S. What is the icon — the one with fourfold rotational symmetry — variations on which appear to the left of comments? It’s very pleasant to look at. Thank you for your very thoughtful comments. I think you are right to point out that while the Israel-Palestine conflict is essentially a political and not religious one, we cannot discount the role of religion, particularly when envisioning the nature of any political solution. Historically speaking, the Palestinian community generally been regarded among the most secular in the Arab world. This has changed in recent decades, with the most obvious example being the ascendancy of Hamas. However, I believe it would be misleading to assume that Hamas’ electoral success automatically translates into the growth of theocratic Muslim attitudes among Palestinians. Most observers have pointed out that Hamas’ 2006 electoral victory in Gaza was due more to the Palestinian electorate’s frustration with Fatah’s corruption and inefficiency and their approval of Hamas’ management of social and civic services. It’s also worth pointing out that Hamas’ popularity has been decreasing dramatically in Gaza, with polls now indicating a preference for the more secular Fatah. Among other things, this seems to indicate that religion is not the primary motivating factor in Palestinian political attitudes. Despite the rise in Palestinian religiosity, most polls of Palestinians indicate a preference for a secular democratic state to a theocracy. One caveat: if the dire status quo in the Occupied Territories is allowed to continue, it will only increase the appeal of religious fundamentalism among Palestinians – which drives home the imperative to come up with a political solution that ensures equal rights for all. For a thoughtful piece on the desired role of religion in the Palestinian community, I’d encourage this article by my friend Aziz Abu Sarah, a longtime Palestinian peace activist. PS: the icons come from WordPress – the platform I use for my blog. You’ll have to ask the WP folks about their meaning!